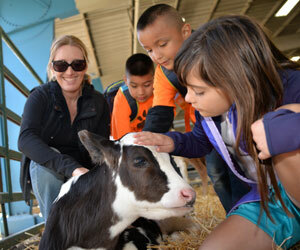 Alexis Wood (right) a kindergarten student at Guerneville School falls in love with a calf from the Beretta Dairy. Standing next to her, Fernando Garcia and Cain Carrillo (left), kindergarten students at Abraham Lincoln Elementary School, and their teacher, Dawn Baskin, enjoy an up-close experience with a Holstein calf at Ag Days. 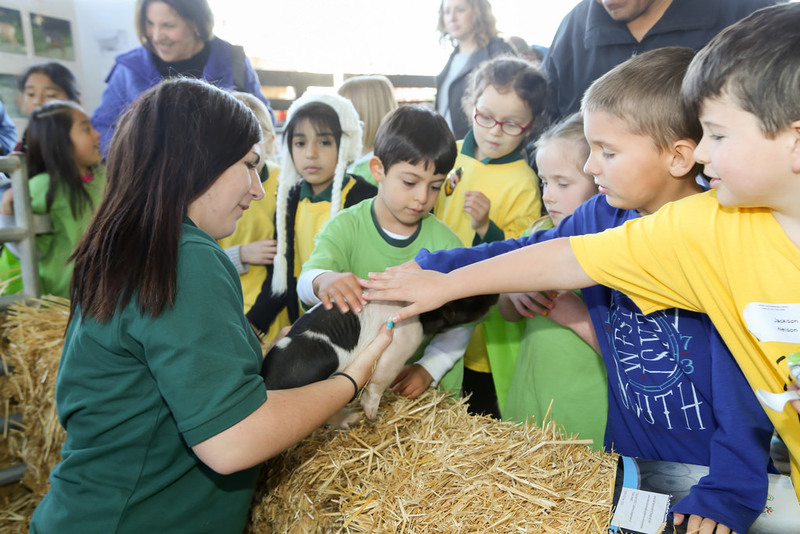 More than 5,700 people attended Ag Days, including 4,200 elementary age children. 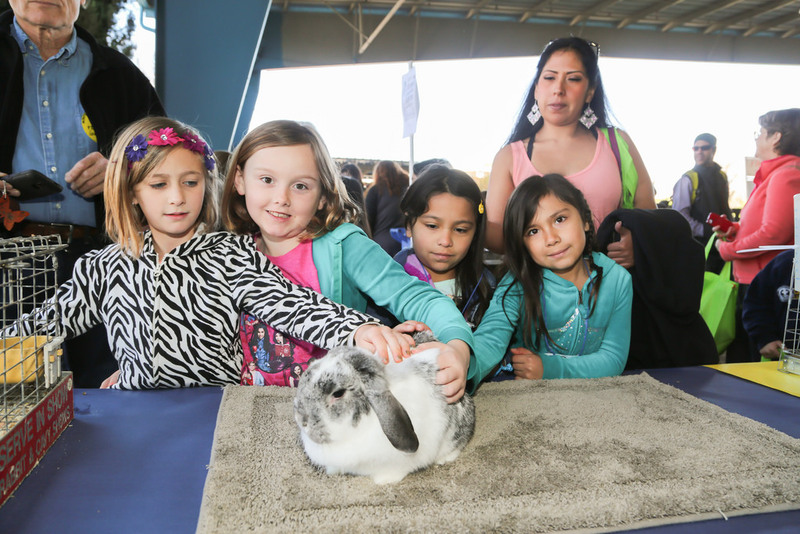 Ag Days, a two day event in March put on the Sonoma County Farm Bureau, brought the farm to children as they flocked to the Sonoma County Fairgrounds to see agriculture in action, up close and personal. Students started by learning about biodiversity from Sonoma State, before moving to learn about food commodities. 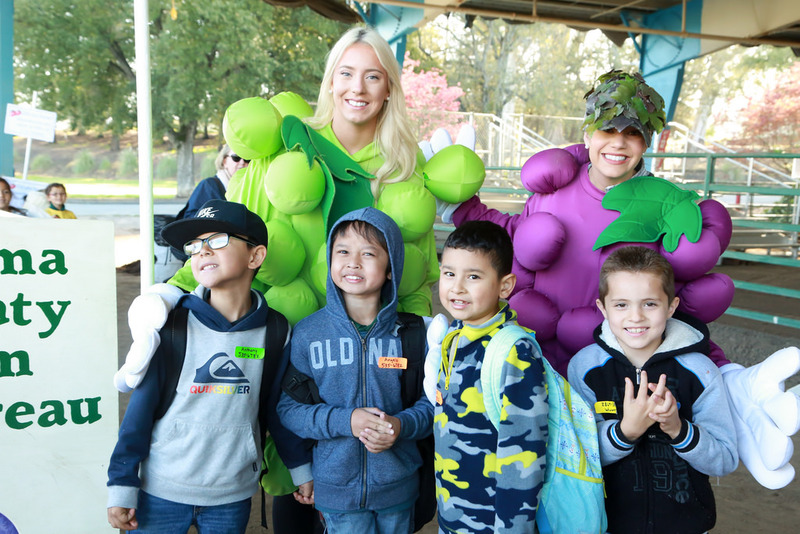 From milk by the North Bay Dairywomen and Ice Cream by Straus Creamery to oranges, apples and honey, students learned about a vast variety of Sonoma County products and how they are grown. New this year, the Redwood Empire Food Bank handed out information to students on different food resource programs. But for many students, the big attraction wasn’t the free food – it’s the animals. 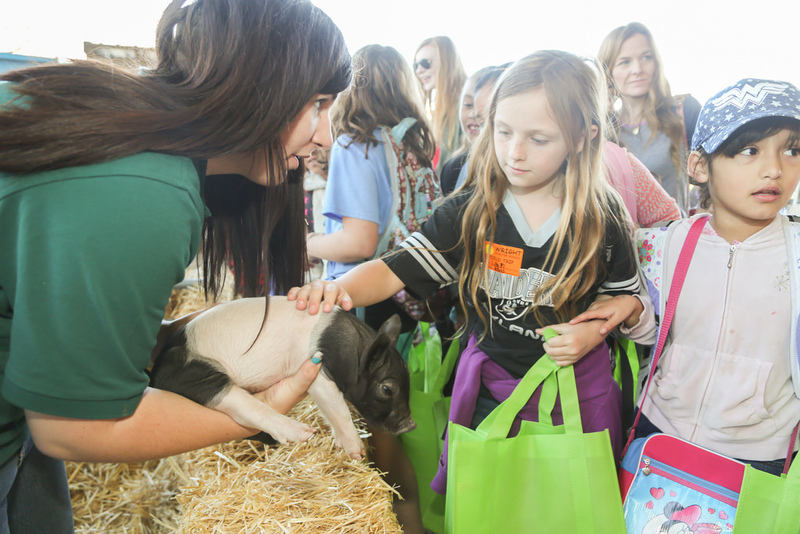 In the Lyttle Cow Palace many students had their first experience with livestock. 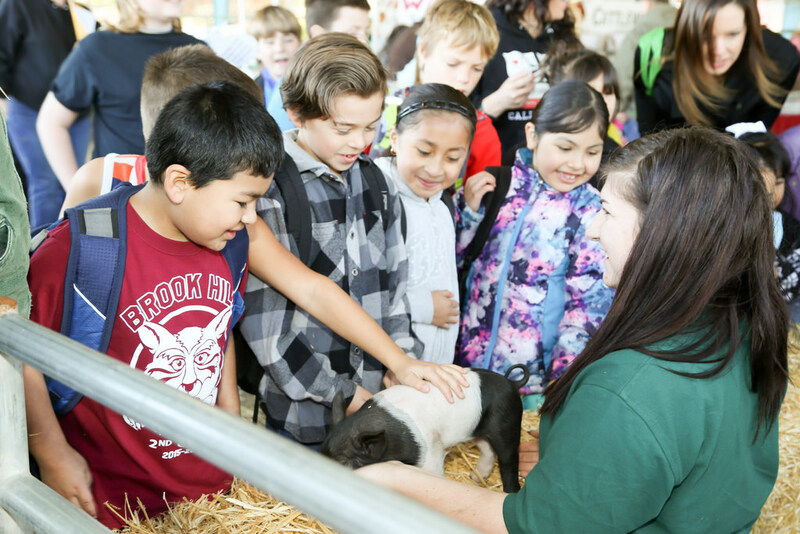 They pet chicks and ducklings from Western Farm Center, calves from Beretta Dairy, lambs from the Williams family and piglets from the Crawford family. 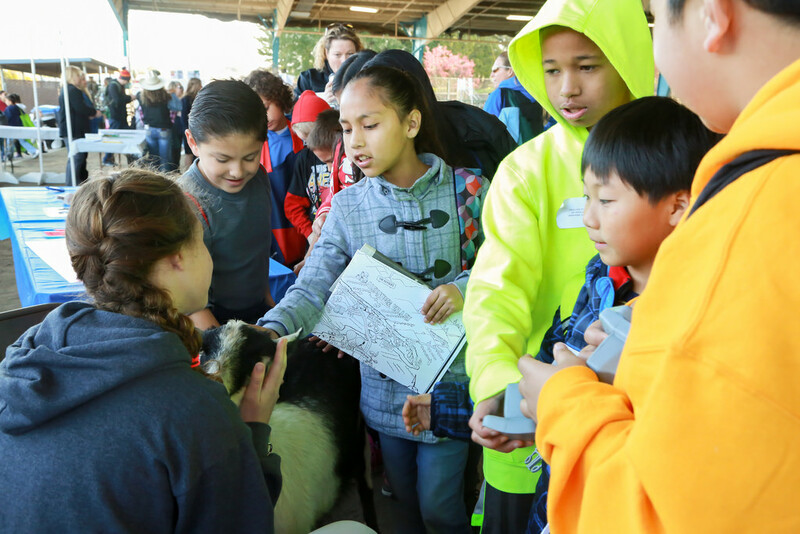 Additionally, students got up-close and personal with goats and chickens provided by Forestville FFA, two giant draft horses, a K-9 police dog, Billy the Agility Goat and more. Many students marveled at the LaMancha goats, asking what they were. LaManchas, a breed of dairy goat that have very short ears that look almost non-existent, stumped children who have always seen pictures of goats with ears, although many of the students didn’t know what else the LaManchas could be. Students hustled to see shows spread throughout the grounds. 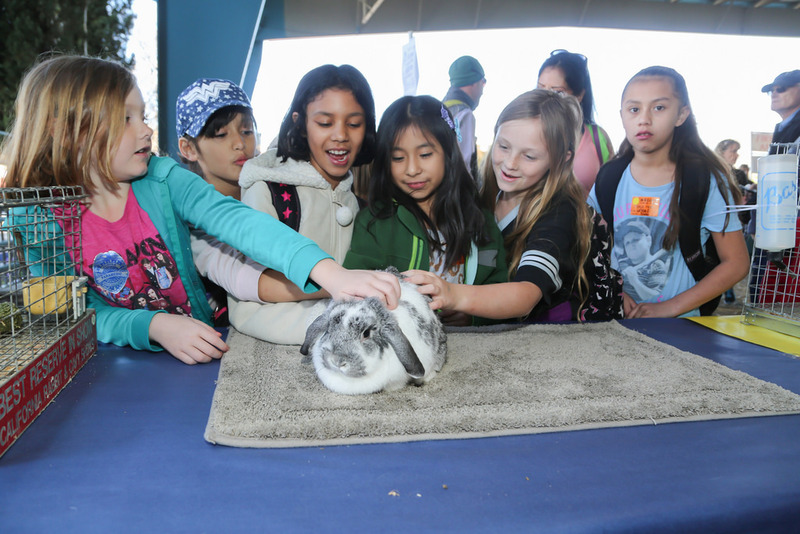 Some students were mesmerized by watching herding dogs while others were fascinated with sheep shearing demonstrations. 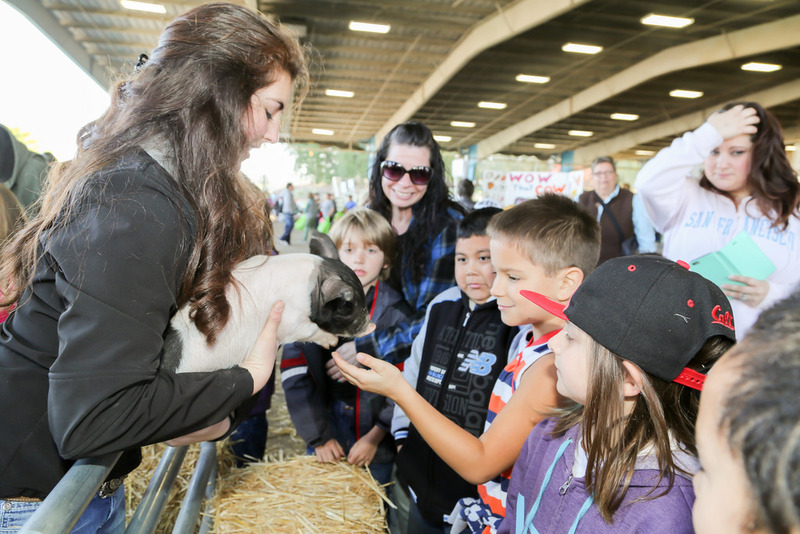 Students were also found watching 4-H students ride horses, agriculture inspection dogs and cow milking demonstrations. As students left the animal area, they had one thing in common. All were carrying neon green reusable grocery bags with a Hunt & Behrens or Petaluma Creamery logo. Armed with information on many different types of ag, students had the chance to learn more and share information with their parents after leaving the event. Commodity specific handouts and animals weren’t all the event offered. Students had the chance to learn about plants, soil, energy, owl boxes, leather craft and many more agricultural related activities. On Tuesday, children had the opportunity to visit the Seed Survivor. 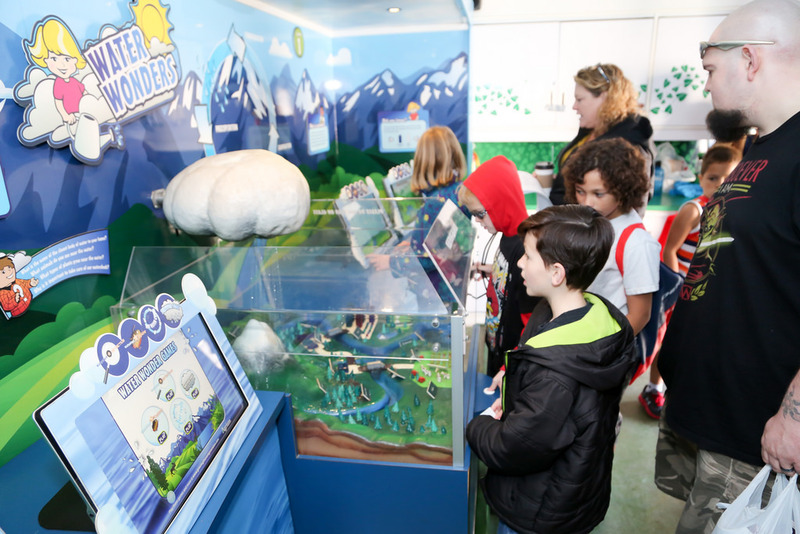 This mobile trailer was full of interactive touch screen technology including games such as growing a sunflower. When their time was up, most students didn’t want to leave the trailer. On Wednesday, children were surprised when Henry One, a helicopter from the Sheriff’s Office, landed in the middle of the carnival lot. For most of the students attending Ag Days, this is their first interaction with agriculture. 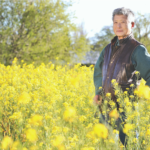 Students come from all over Sonoma County, but the one thing the schools have in common is students from all backgrounds. 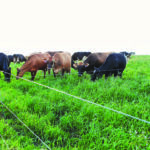 After leaving the event, students who didn’t previously have a real life connection to ag have a much better understanding about where their food comes from. Reese said Farm Bureau’s Board of Directors send a huge thank you to staff, endless volunteers, exhibitors and sponsors that make this event possible for so many to enjoy.